Getting to the Bottom of the Bedbug Problem - Yes Pest Pros, Inc. Getting to the Bottom of the Bedbug Problem - Yes Pest Pros, Inc.
We have all heard the famous children’s nursery rhyme: “Sleep tight, don’t let the bed bugs bite.” Don’t feel bad if you went most of your life thinking bed bugs were simply a fictional creature that only existed in song. Unfortunately, they are indeed real, very real. And for many years bed bugs were not an issue people had to worry about. However, they have come back with a vengeance over the last 10 years and are now causing big problems in most urban areas. Even more rural communities in places like South Bend have issues due to the transient nature of college towns. If you are a frequent traveler or you are simply looking for ways to keep your home free of bed bug, these bed bug control tips may help. Right now, the most common way in which bed bugs are spread is through traveling. Hotel rooms are ground zero in the battle against bugs and, in many cases, your clothing or luggage can pickup bed bugs and you end bringing home a souvenir you never planned on. Even occasional travelers have reported bed bug issues. It doesn’t matter if you are staying at the Motel 6 just off the highway or if you are at the Four Seasons. 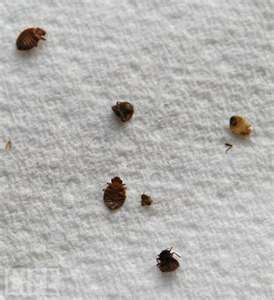 Bed bug infestations have been reported just about everywhere. When you check into your room, either leave your bags out in the hallway or pick them up and place them inside the bathtub. Walk over to your bed and lift up the mattress and check both the box spring and the mattress for brown or black specs. If there is an issue present, you’ll see blood stains and bugs in the corners of the bed and under the fabric ribbon that goes around the edge of the mattress. If you can, try to look behind the headboard, as well. If you’ve found a problem, grab your bags and get out of that room as soon as you can. The hotel is going to need a bed bug exterminator. Ask to be put in a room that is in no way adjacent to the infected room and be sure to check your new room, as well. You want to avoid using the furniture in a hotel room and you definitely want to avoid stuffing your clothes in the chest of drawers provided. These dark places can be a bed bug breeding ground. Once you get home, the battle isn’t over quite yet. Do everything you can to keep your dirty clothes separate from your clean ones. Many suitcases have a zipped section made just for dirty clothes, so use that if you can. Wash the clothing you took on your trip as quickly as possible. If you can scrub down your suitcase, do that, as well. Rub the suitcase down with rubbing alcohol too. Even if you know that you slept in a bed bug free room, you could have rolled your suitcase through a problem area. Don’t risk a possible contamination issue. 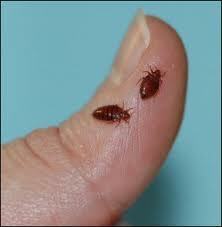 Bed bugs have become a fact of life in every city and in every college town in North America. Cities that deal with a lot of international traffic such as Washington DC, New York City, Los Angeles, San Francisco and Vancouver have especially serious problems. If you are traveling to any of these locations, be extra vigilant. If you think you have a bed bug problem in your home, contact the bedbug control experts at Young Environmental Solutions today.